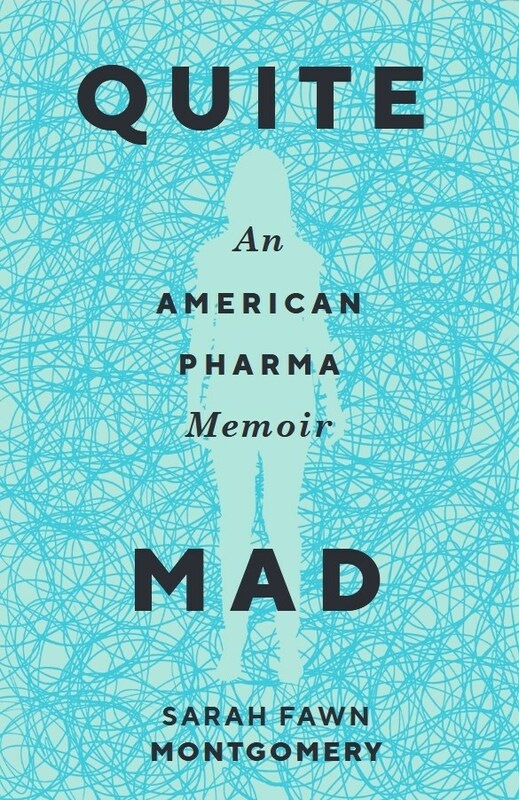 Quite Mad: An American Pharma Memoir brilliantly blends author Sarah Fawn Montgomery’s own experiences with mental illness with research about the history of mental illness (and treatments) in the United States and interrogation of the gendered stigma surrounding mental health. I recently had the chance to talk with Montgomery about the process of writing and publishing the book—due out from Mad Creek Books this fall—as well as why we read and write creative nonfiction and the ways that nonlinearity and memory often go hand-in-hand. Silas Hansen: First of all, I wanted to say that I love the book. As another academic and essayist with an anxiety disorder, I kept finding passages where I’d stop and say, “Yes. Yes. That’s how it is. That’s exactly it.” You also did such a great job of making your experience accessible to the reader—even in the places where my experience or understanding of my anxiety has been different from yours, your writing made it so clear and concrete that I still understood exactly what you were saying. I want to ask you more about that later, but first I’m curious to know more about the process of writing the book. When did you first realize you had a book here, and not an essay? How long did it take you to write it? How has the book changed from the planning stages to the published version? Sarah Fawn Montgomery: I’m so glad it resonated! It’s daunting to try and make the “unreal” seem real for others who might not have experienced it, or at least not in the same ways, so I’m thrilled it was accessible. I originally had no intention of writing about mental illness, much less America’s history of medical treatment. My first foray into writing about mental illness was an essay mostly about noise pollution, but that also mentioned anxiety. One night at a dinner party, a colleague and dear friend who’d come across the essay in a literary journal brought it up, leaning across the table and saying, “I didn’t know you were so crazy!” I was immediately embarrassed, angry, sad. I’d always concealed my mental illness, but this moment is when I decided to write the book. I wanted to dispel the notion that mental illness should be concealed at all, interrogate why we have expectations about who is expected to be “crazy” and the treatment they should seek, and confront the dismissive nature with which we often discuss mental health. Quite Mad took several years to write—early drafts were mostly stream of consciousness with little organization, later ones were rigidly linear and relied too heavily on research. Finally, I played with form, resisting linearity, moving in time, embracing fluidity, confusion, gaps in memory, and reducing the research in order to add parts of the story I’d previously been too timid to write. The greatest change, however, came in my understanding of mental illness. Writing from a place of illness rather than the privilege of health was important—the largest change from draft to draft came from my own understanding of illness as an inherent part of my identity. I could not have written this book early on in my illness experience when I was still immersed in the language of cure and subscribed to the linear narrative of symptoms, diagnosis, prescription, recovery. SH: That’s probably the thing I love most about writing CNF: the challenge of confronting the subject matter as well as issues of craft. On that note, I was wondering if you could talk more about the non-linear nature of the book. Why did you choose to write it in this way? Was it difficult for you to write—or did it seem like a natural fit? SFM: I very much wanted to resist the inspirational narrative we so often see in mainstream representations of mental health—one that follows the arc of symptoms as conflict, the performance of suffering as character development, diagnosis as climax, and prescription and recovery as denouement. The world often seems unwilling to listen to stories about mental illness unless they are somehow tidied and involve recovery, which is not always the case. I wanted the book to disrupt reader’s expectations of illness narrative, through its architecture and with a seemingly unreliable narrator who does not necessarily find resolution in cure. In addition, my experience with mental illness has been nonlinear, shaped by the fragmentation of trauma, anxiety’s quick bursts of panic and slow periods of dread, and OCD’s compulsive circling. Thus, the book structure follows suit—jumping back and forth in time, as I piece together the story of my illness; some moments slow motion, others full frenzy, missing moments occupying pages with their silence, absence, erasure, for mental illness leaves memory full of stopgaps. I also play with space—the literal space of a paragraph or sentence might be cluttered and claustrophobic like a panic attack, or the quick pointed fragment of PTSD. Form renders reality on the page, so my hopes are that reading Quite Mad will be reminiscent of experiencing madness, both a reframing for those who haven’t experienced it, and a kind of recognition for those who have. Nonlinear form also allowed me to play with truth, which is essential for nonfiction, but suspect when writing about mental health. Those of us with mental illness are never quite trusted to report accurately, our reliability when speaking about pain or healthcare always framed by our tenuous relationship with sanity. Our experiences, however accurate, are often invalidated if they do not meet others’ expectations. I wanted to play with the spectrums of reality and sanity by encouraging readers to reflect on their disbelief. As a mentally ill person, my memory and experience are different, “unreal,” sometimes even to me, so experimenting with the concept of reality invites readers to question and frames a larger discussion of the doubt we place on those with mental illnesses, the reasons we do so, and the very knowability of abstractions like illness, health, truth, and narrative. SH: I love what you’ve said about wanting to resist that typical narrative and the reader's expectations. It’s definitely something I’ve struggled with when teaching essays in my classes that deal with topics like mental illness (and, to a certain extent, in writing my own essays). Readers have expectations for what that's going to look like, and I have to talk to them about how real life isn't always that neat and tidy, and so good essays often aren’t, either. That actually makes me wonder how much you think about the reader as you write. Do you worry at all about how to make your experiences accessible (or to use a word I actually hate, and have banned from my own courses: relatable, ugh) to a reader? And maybe this leads to a bigger question about nonfiction: what is the purpose of reading CNF? What do we want readers to be getting out of reading about our experiences? SFM: I rarely worry about being “relatable,” because that leads to performance, to writing (and often revising) ourselves for others. Instead, I hope immersion makes my writing accessible. It was important for me to render mental illness for readers who might not have experienced it, but rather than abide by “normal” rules of logic and narrative, I wanted to embody those of mental illness, rendering insanity and refusing to justify my experience, because often the only way to explain mental illness is to edit or translate it for others, which is a kind of erasure. So while I don’t expect every reader to relate to me, and I try not to worry about their potential judgment, I do want readers to come away from the text having accessed my lived experience. This is why I read nonfiction, after all—to immerse myself in the worlds of others. I want to experience the human brain at work, slog through memory, geek out on research. The act of reading can reflect my reality, but it also renders new ones—if an author does it well, their experience is accessible even if it isn’t relatable. SH: That’s absolutely why I read CNF, too—and it’s one of the things I love most about the genre. I have vastly different life experiences than Roxane Gay, Cheryl Strayed, Hanif Abdurraqib, James Baldwin, Joan Didion, etc., but reading their essays makes me feel like I have a better understanding of someone else's life, and how their experiences have shaped their thinking. It’s interesting that you brought up your own reading practices in this answer. My semester just started and we read the first chapter of Bill Roorbach’s Writing Life Stories for my undergrad CNF class this week. In it, he talks about how “reading is writing.” Is reading a large part of your writing practice? Who are the people you read—for fun and/or as models for how to write your own work? SFM: Absolutely! I probably read more than I write. And I try and resist the urge to dissect what I’m reading in the moment or to think about my own writing. Instead, I follow the reading where it goes—reading inspires such pure emotion I don’t want to muddy it by bringing my writer’s ego to the page. There is no feeling like geeking out to a great passage or line, feeling passion or excitement or awe and going with the feeling further into the work. Reading is so transformative, creating such emotional but also physical responses, for we often read out loud, the words part of our body and breath, our fingers quite literally clutching at stories. I do, of course, go back and make notes and take inspiration on subject and style. For the past year or so I’ve read primarily poetry because so many utterly devastating and joyful collections have been released, and their timeliness reminds me of the political power of poetry. They are art and artifact, matter and mirror. In the past month or so, I’ve read the latest by Kevin Brown, Lynn Melnick, Tracy K. Smith, Ada Limón, Aimee Nezhukumatathil, Marcelo Hernandez Castillo, Rachel McKibbens, Tarfia Faizullah, Victoria Chang, Amy Meng, Analicia Sotelo, Natalie Scenters-Zapico, and the list goes on. SH: I love a lot of those poets, too—Rachel McKibbens, Tracy Smith, and Marcelo Hernandez Castillo are three of my favorites! I’m definitely adding all of the others to my to-read list. I wanted to go back to something I mentioned earlier. One of the things I really appreciated about the writing in Quite Mad is the concreteness of the scenes, and the powerful imagery you used to pull the reader into those scenes. As I said, even in those places where my own experiences and understanding of anxiety differed from yours, the writing was so clear and concrete that I never had trouble understanding your experiences and accessing the emotions you were getting at in those moments. It actually reminds me of poetry, now that I think about it—the clarity of the images, the conciseness of the language, etc.—so I’m not surprised that you read a lot of poetry! Is this something that comes naturally to you, or is it something you realized was needed later and had to consciously work on when you revised? One of the things I liked most about it was that it felt so natural, and also the conciseness of it. Do you have advice for writers who struggle with this? Were there specific revision strategies that helped you, or specific writers you’ve looked to as models for this? SFM: I’m so pleased! Clarity was a main focus, in part because I wanted to make the mental and physical symptoms as concrete as I could for readers, but also because mental illness is often discussed in abstract terms, and being specific is essential to counter the mystery and vagueness, as well as disbelief and suspicion that can be so damaging to patients and our healthcare system. At the same time, however, much of my experience with mental illness has been about embracing ambiguity, contradiction, and the seemingly unreal, and understanding there is much beyond my power to name or control. So while I wanted to be as detailed as I could in terms of image and scene, I did not want to render my experience with the expected language. Clarity—and thus honesty—meant I had to allow the writing to embody madness, to utilize its rhythms, tones, and forms, and to share, without filter, those comparisons and descriptions that while accurate, often seem illogical or perhaps even untrue. My best advice is something a dear reader said about my early drafts. The reader said that they appreciated the parts where I allowed anger and frustration to slip into the prose. At that point, I was still trying to self-edit the personal as opposed to the prose, and the reader responded to moments where the desire to over-explain to the reader vanished and the real story surfaced. Not only was that invitation and permission welcome as a woman and someone with mental illness, but it has also been some of the best writing and revision advice—to edit for accuracy rather than performance. To be cognizant of cutting to the core of an experience, cracking through the protection of bone to scoop out the marrow, rather than editing for a reader’s expectation. We share our stories to hopefully move others, so we’ve got to be honest, even if it is painful, shameful, or odd. We must own our experiences to own the page. SH: That's such great advice! It’s something I struggled with a lot as I started writing CNF, and something I still struggle with, if I’m being honest, particularly when it comes to wanting to come across as a certain way—smart, likable, put-together, etc. It’s so natural to want that, but the honesty and reality is so much more important than performing in a particular way. One last question: Now that the book is out, what are you working on next? What projects are you excited to focus on? SFM: I’m currently working on two projects. One is a nonfiction book about the cultural performances of motherhood and the ways domestic responsibility is often fraught with violence and erasure. The other is a book of poems that deconstructs the mythos of historical, literary, and pop culture wicked women, examining how gender expectations construct what is perceived as evil. I’m in the midst of them both, researching, drafting, all energy and rush, which is, of course, my favorite part. Sarah Fawn Montgomery is the author of Quite Mad: An American Pharma Memoir, and the poetry chapbooks Regenerate: Poems from Mad Women, Leaving Tracks: A Prairie Guide, and The Astronaut Checks His Watch. She has been Prairie Schooner’s Nonfiction Editor since 2011 and is an Assistant Professor at Bridgewater State University. Silas Hansen's essays have appeared in The Normal School, Colorado Review, Slate, Redivider, Waccamaw, Best of the Net, and elsewhere. He is an assistant professor at Ball State University and the nonfiction editor for Waxwing.